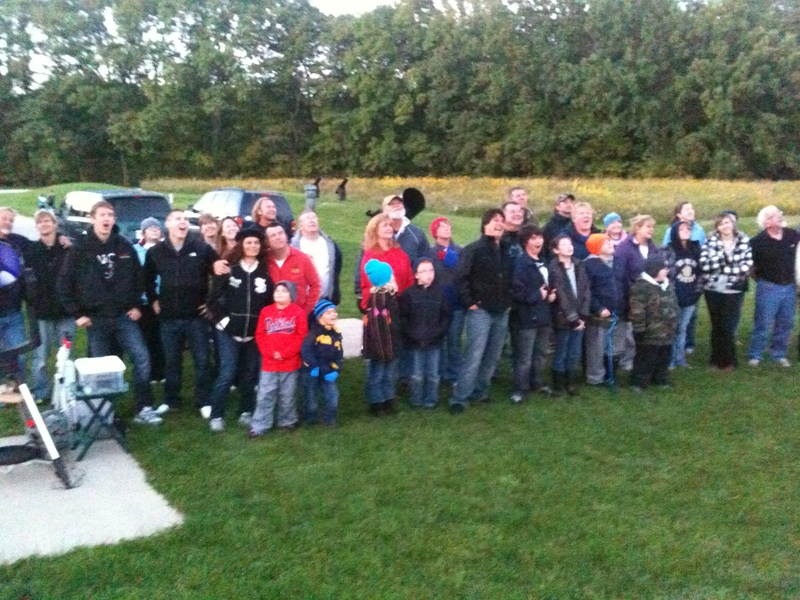 Last fall I went to a public star gaze with the Indiana Astronomical Society to do research on my novel, THE FIELD. Eric, my protagonist, goes to a public star gaze and I wanted to get a feel for what it would be like. It was a wonderful night! The amature astronomers were so generous in sharing their telescopes and pointing out celestial objects. Neil Armstong had recently passed away and his family requested that people ‘Wink at the Moon’ to honor him the next time they saw the moon. Here are my friend Susan and I winking at the moon with members of the Indiana Astronomical Society. Godspeed Neil!